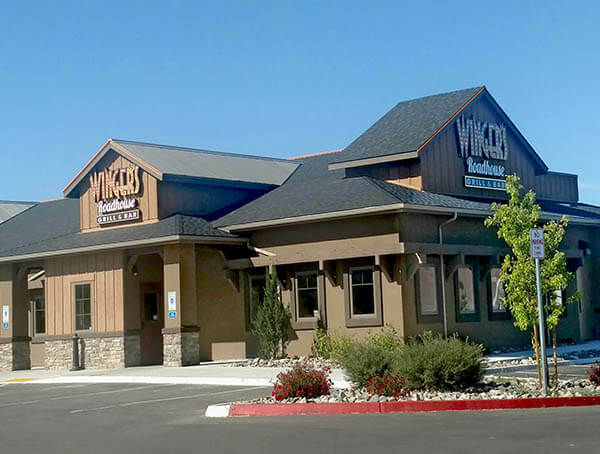 The Winnemucca location offers a full bar and TVs with sports channels. This WINGERS location does not have a private space, but can accommodate large parties that call ahead. Great eats at Wingers! Make sure to try their famous sticky fingers, the amazing garlic fries, and a sip or 2 of the Grateful Dead! You'll be craving the flavors of Wingers again after your first visit! Delicious food, friendly staff. What more could you ask for. Can get a little pricey but for the area it seems normal. Great food, great service, friendly place, will definitely go back. This has been the 3rd year in a row that my wife and I have celebrated our anniversary here. And we always go here to celebrate special occasions and have never been disappointed. The best wigs and mash potatoes in town. And the cooks actual know how to make a steak right. Our favorite restaurant in Winnemucca! Great for date night to dine & family occasion. Pleasant atmosphere. Wonderful staff, attending to your need. Outstanding communication. Awesome food. Loved the asphalt pie I would order it again. Great food, great beer, great staff! Very delicious wings. A bit pricey but worth it. Try the ribs. They were delicious. Ice cold and tasty home brews. Best baby back ribs I've ever had. Staff are wonderful. Good food and friendly waitresses and reasonably priced. Awesome wings and awesome Awesome Sauce! Always great food and good service! This restaurant is located right at the entrance to the New Frontier RV Park. The RV park is well laid out with lots of pull through sites. We have been to several Wingers restaurants and love their Sticky Fingers. I had the Sticky Finger Tacos and they were amazing. Our visit was in midweek and early evening. There were quite a few RVers there. Food and service was awesome! The drinks were so good. I visit the area quite often for work, and Wingers is always a stop for me. Great menu selection, and everything is delicious. The service has always been excellent. Lunch was excellent, service was top notch!!! Great menu, great food. Located right next to New Frontier RV Park. Exit 180 off HWY 80 west Bound. Quick service, lots of different beers  on Tap. We had the Fajitas & the Ribs, both were truly excellent. Excellent food pricing. We spent about $50 for 2 of us. A tall beer & a mixed drink with the two meals. We highly recommend this place. Staff was increadiably nice and didnt not over serve. Burger was delicious l.
Yum yum yum yum spicy but all was delicious, great staff, and as I said before delicious food. A wonderful time with my friends. Great meal and service!